I'm in the middle of reading The Origins of the Baroque Art in Rome by Alois Riegl. This recent publication is a really exciting and influential textbook in its own right, since it is the first time that Riegl's essays on Baroque art have been translated into English. I plan on writing a full review of the book very soon, but I just wanted to write something that I found particularly interesting. The Altar of Pergamon is from the Greek Hellenistic period (c. 175-150 BCE). It was excavated in the late 19th century by Carl Humann, a German road construction engineer. The continuous frieze depicts the Gigantomachy ("Battle of the Giants") with extremely high relief figures, dramatic emotional expressions, lots of diagonal compositions, and light/dark contrasts (see detail on left). Baroque scholars (such as myself) eat this kind of stuff up, since the stylistic characteristics are very similar to those of the Baroque period. I think that even the placement of the frieze near the steps (as opposed to being placed above the columns, which is the traditional location for an Ionic frieze) ties into the Baroque characteristics of viewer participation and involvement. 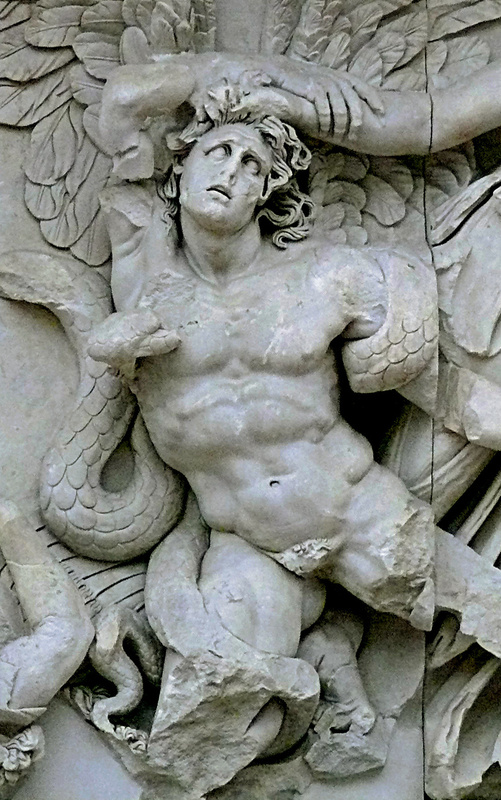 Consequently, because of the Altar of Pergamon's influence, German art historians began to write about Baroque art. Heinirch Wölfflin wrote his seminal book Renaissance and Baroque in 1888, less than a decade after the Pergamon altar began to arrive in Berlin. Wölfflin even wrote in the preface "that he had intended to include an evaluation of the 'ancient Baroque' but that his 'little book' did not afford enough scope for this project, and he promised to return to it at a later date. "2 Unfortunately, Wölfflin never returned to write about the "ancient Baroque," though other scholars (such as Arnold von Salis) did. 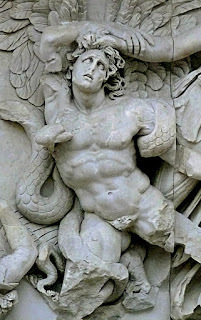 Now, I think that Baroque scholars take the connection between the Hellenistic and Baroque period for granted. 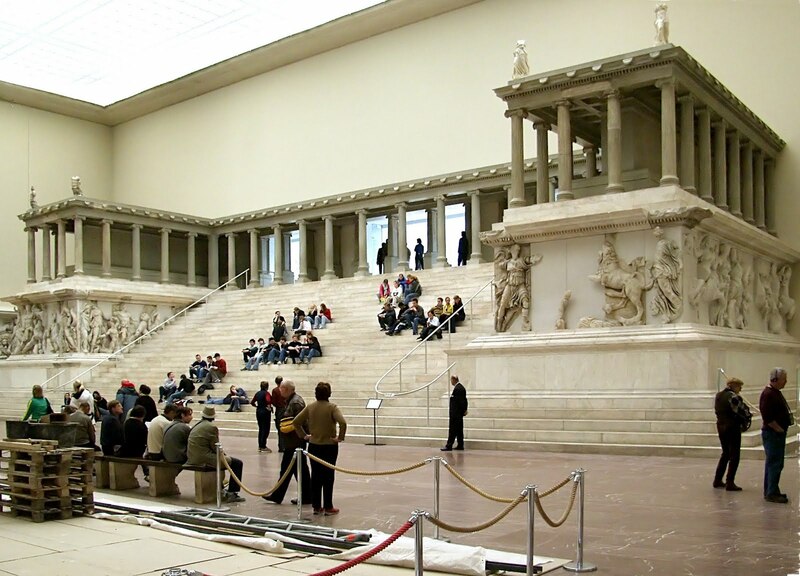 But Baroque scholarship is quite indebted to the Altar of Pergamon. Without the arrival of the altar in Berlin, perhaps "baroque" would still be a demeaning term in art history. 1 Alina Payne, "Beyond Kunstwollen: Alois Riegl and the Baroque" in The Origins of Baroque Art in Rome by Andrew Hopkins and Arnold Witte, eds. (Los Angeles: Getty Research Institute, 2010), 8.